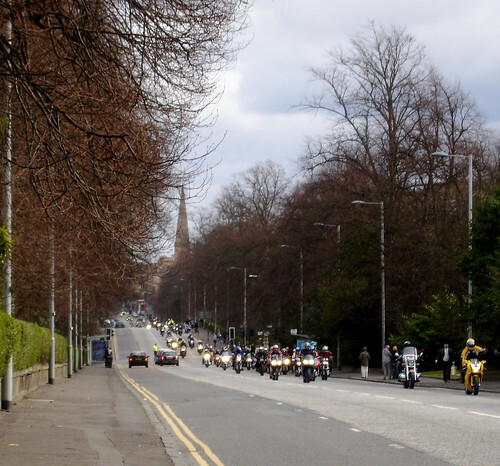 As it was quite a nice day yesterday I took a walk down to Maplins for a couple of bit’s and pieces which also meant I got to see the annual Easter Egg Run to Yorkhill Hospital. There were thousands of bikes! The noise was superb and even 30 mins after it had started there were still bikes passing by. I can remember when this event started. I was living in Argyle Street and over 3 or 4 years it grew from a few hundred to a few thousand bikes. 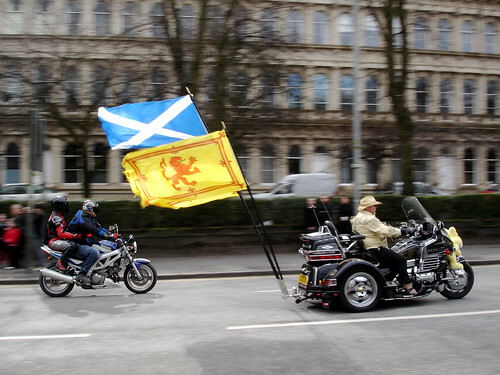 Estimates yesterday were of over 10,000 bikes from across the UK. Impressive. Full set of blurry pic’s can be found here.